(Boston, MA, June 23, 2018). The International Academy of Nursing Editors (INANE) has established the Nursing Journal Hall of Fame to recognize scholarly nursing journals that have 50 or more years of continuous publication and sustained contributions to nursing knowledge. The inaugural cohort of 13 journals will be inducted at the 37th Annual Meeting of INANE on Tuesday, August 7th at 1:30 pm. The 13 inaugural journals are international in scope and cumulatively represent 978 years of scholarly publication in nursing. The journals are a cross section of professional nursing practice, research, education, and leadership and demonstrate depth in nursing excellence and scholarship through the published literature. 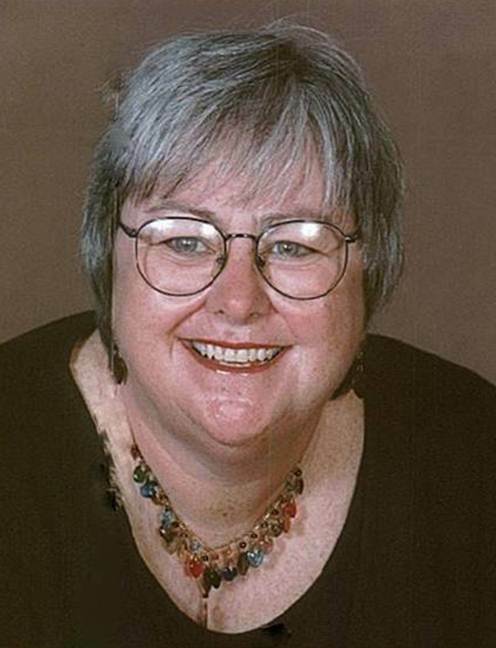 Funding for the inaugural awards has been generously provided by Shirley Smoyak, PhD, RN, FAAN, Editor Emeritus of the Journal of Psychosocial Nursing and long-time INANE member. INANE is grateful for her support. Editors and publishers of the 13 journal designates will be present to receive the awards in person at the ceremony. The 13 inaugural journals, with founding dates are: 1) American Journal of Nursing (1900); 2) The Canadian Nurse (1905); 3) Nursing Times (1905); 4) AANA Journal (1933); 5) Workplace Health & Safety (1943); 6) Nursing Research (1952); 7) Nursing Outlook (1953); 8) International Nursing Review (1954); 9) Journal of Midwifery & Women’s Health (1955); 10) Journal of Nursing Education (1962); 11) Journal of Psychosocial Nursing (1963); 12) AORN Journal (1963); 13) Journal of Nursing Scholarship (1966). INANE is an all-volunteer organization whose members include editors, publishers, and others involved in the dissemination of nursing knowledge through the scholarly literature. Established in 1982, INANE hosts an annual meeting and maintains an active mailing list, Facebook page, and Twitter account for its members. Learn more at nursingeditors.com. The meeting for 2018 is at the Liberty Hotel in Boston MA from August 6-8, 2018. The 2019 meeting will be in Reno, NV. For more information, contact us through this website. editorial excellence in nursing. The INANE conference provides opportunities for editors to meet and network with other editors to share their experiences. At the INANE conference editors receive the latest updates in publishing and strategies for ensuring editorial excellence. 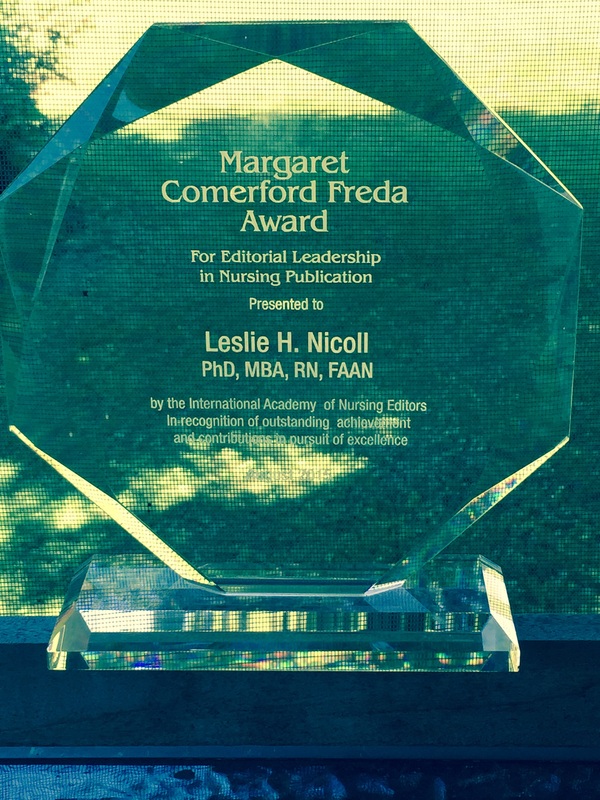 Margaret Comerford Freda was an editor who exemplified excellence in editorial leadership in nursing. 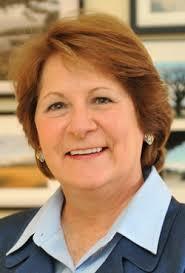 Therefore, in 2012 the Margaret Comerford Freda Leadership Award for editorial leadership in nursing was established. Currently, the criteria and application for the Margaret Comerford Freda Leadership Award are available on the INANE website. Please consider nominating a nurse editor who demonstrates editorial leadership in nursing for the Margaret Comerford Freda Leadership Award. Applications for the 2018 Margaret Comerford Freda Leadership Award are due April 15th, 2018. Here is the form! Maureen Shawn Kennedy Receives Margaret Comerford Freda Award! Shawn was the lead investigator for an international study on ethics around guest and ghost authorship in nursing publications. This was the first study to examine this issue in nursing. Findings indicated a higher rate of guest and ghost authors than found in medical journals. The study was published in the Journal of Nursing Scholarship in 2014 and presented at INANE and ICN to foster changes in these practices. Shawn has been a leader within and outside of the nursing profession, as demonstrated by her active membership in the Association of Health Care Journalists and the International Congress on Peer Review and Biomedical Publication, both presenting and chairing panel sessions at their annual meetings. She has received numerous awards for excellence, such as from the Association of Women in Communications and the American Society Health Publication Editors for her outstanding leadership in publishing. She has mentored numerous nursing editors through participation in INANE as a speaker, member of the program planning and the awards committees. We offer not only our congratulations, but deep appreciation to Shawn for her many notable contributions to nursing and to publishing in nursing! The JAMA Network, BMJ, and METRICS are pleased to announce the Call for Abstracts for the Eighth International Congress on Peer Review and Scientific Publication. If you haven’t already done so, start your research now! Abstracts reporting the results of original studies on any aspect of editorial and funding peer review, scientific and scholarly publication, research and reporting practices, reproducibility and access, and information exchange, and covering a wide range of disciplines, including biomedicine, health science, applied science, basic science, physical science, as well as social science, narrative medicine, and humanities, will be considered. Abstract submissions will be accepted from December 1, 2016, through February 15, 2017. Please see the Peer Review Congress web site for suggested research topics, instructions for preparing and submitting abstracts, and abstracts presented at previous Congresses. The Eighth International Congress on Peer Review and Scientific Publication follows the previous 7 highly successful Peer Review Congresses that are held once every 4 years. Our aim is to encourage research into the quality and credibility of peer review and scientific publication, to establish the evidence base on which scientists can improve the conduct, reporting, and dissemination of scientific research. As before, there will be 3 days of presentations of new research on peer review and all aspects of scientific publishing, including plenary and poster sessions. We look forward to your participation in the lively discussions that follow each presentation and the interactions during poster sessions. Registration for the Peer Review Congress will open in early 2017. If you have questions, please contact us at jama-peer@jamanetwork.org. The Journal of the Association of Nurses in AIDS Care (JANAC) is a peer-reviewed, international nursing journal that covers the full spectrum of the global HIV epidemic, focusing on prevention, evidence-based care management, interdisciplinary clinical care, research, advocacy, policy, education, social determinants of health, epidemiology, and program development. JANAC functions according to the highest standards of ethical publishing practices and offers innovative publication options, including open access and preproduction manuscript posting. JANAC is the official journal of the Association of Nurses in AIDS Care (ANAC). Lucy Bradley-Springer, PhD, RN, ACRN, FAAN, is the Editor-in-Chief. Coordinates activities to produce one special-topic issue per year. Represents JANAC at local, national, and international meetings as directed by the Editor-in-Chief. Assumes the responsibilities of the Editor-in-Chief in the event of that individual’s inability to carry out her/his obligations until such time as the Editor-in-Chief is able to resume her/his duties or the ANAC Board of Directors makes a decision on the appointment of a new Editor-in-Chief. Completes other journal-related activities as directed by the Editor-in-Chief. The initial appointment is for a 2-year term, which can be renewed. The ANAC Board will evaluate the Associate Editor 18 months after his/heris appointment to assess contributions and discuss changes in the position. The position includes a stipend and support for required travel/conferences. Solid professional standing (i.e., established career, recognized by others in the field). Working knowledge of ANAC’s structure, function, mission, objectives, and long-range strategic plan. Expert knowledge of a broad spectrum of HIV nursing. Sound scientific judgment; ability to assess the quality of quantitative, qualitative, and mixed method research papers. Expertise in mentoring others to write for publication. Ability to work under the pressure of deadlines. Experience related to manuscript review and the peer review process. Knowledge of or ability to learn manuscript publication processes. Knowledge of or ability to learn online manuscript management systems. Knowledge of or willingness to learn about publication ethics. Working knowledge of Microsoft applications (Word, Excel, Outlook/Email, PowerPoint). Editing expertise using APA formatting and the JANAC Style Guide. Connection to the wider HIV health care community from which papers are recruited. Coordinate activities to produce one special-topic issue per year. With the assistance of the Editorial Board, determine topics for special issues 12-18 months in advance of expected publication. Develop and post calls for papers for special-topic issues. Recruit qualified authors to contribute papers to special-topic issues. Provide assistance for authors as needed, including topic selection and editing assistance during manuscript development. Determine table of contents for special-topic issues. Write editorials for special-topic issues. Assign reviewers for special-topic manuscripts through the electronic editorial system. Monitor reviews and make decisions as to the disposition of these manuscripts. Keep track of author deadlines and contact authors who are lagging behind. Collaborate with Managing Editor to complete copy editing on all special-issue manuscripts using APA format and the JANAC Style Guide. Submit reports, as requested by the Editor-in-Chief, on the status of manuscripts planned for special-topic issues. Adhere to production schedules and deadlines established by the Publisher. Explore and implement methods to promote special issues as they are released. Represent JANAC at local, national, and international meetings as directed by the Editor-in-Chief. Attend the Annual JANAC Editorial Board meeting at the Annual ANAC Conference. Join the International Academy of Nurse Editors (INANE; www.nursingeditors.com) and attend INANE annual conferences. Attend other conferences as deemed appropriate by the Editor-in-Chief and as the JANAC budget allows. In collaboration with the Editor-in-Chief and the Managing Editor, develop abstracts for presentations at conferences related to publishing, editing, and professional writing. Assume the responsibilities of the Editor-in-Chief in the event of that individual’s inability to carry out her/his obligations until such time as the Editor-in-Chief is able to resume her/his duties or the ANAC Board of Directors makes a decision on the appointment of a new Editor-in-Chief. Serve as leader of Editorial Board meetings if Editor-in-Chief is unable to participate. Work with Managing Editor to ensure the peer review process continues for submitted papers when the Editor-in Chief is not able. Work with Managing Editor and Publisher to assure continued production of journal issues when the Editor-in Chief is not able. Complete other journal-related activities as directed by the Editor-in-Chief. Support the Editor-in-Chief in overall journal management, particularly in soliciting manuscripts, authors, and reviewers. Participate in strategic planning and contribute to setting the vision and direction for JANAC. Monitor JANAC Facebook page and make regular contributions to content. Serve as a reviewer and provide input to the Editor-in-Chief on areas of concern related to specific manuscripts. Perform other duties and responsibilities as requested by the Editor-in-Chief. Applications should include a curriculum vita and a letter outlining how the applicant, as the JANAC Associate Editor, would contribute to the management, prestige, and viability of the journal. Please limit the letter to 350 words or fewer words. Shortlisted candidates will be notified by email of the next steps in the appointment decision process. Applications should be sent to lucy.bradley-springer@ucdenver.edu by August 8, 2016. At the Business Meeting at INANE 2015, Kathleen Ahern Gould, Editor of Dimensions of Critical Care Nursing, presented information on The Conversation Project. She suggested that perhaps INANE Editors could use the power of their journals and editorial pages to spread the word about this important project. There was agreement from the audience that this is an important project. Kathleen has taken the lead to get this INANE Initiative off the ground. The next step is to collect editorials or articles as they are published in our respective journals. We will add links and citations to published pieces as they are received. You may send information via the Contact Form at this website, or you can write to Kathleen directly. Thanks in advance for your support of this important project! Applications for the MCF Leadership Award Now Being Accepted! On behalf of Lucy Bradley-Springer, Chair of the Selection Committee for the Margaret Comerford Freda Award for Editorial Leadership in Nursing Publication, I am pleased to announce that applications for the 2016 award are now being accepted. The award was established in 2012 and presented for the first time at INANE 2012 in Montreal, Canada. The purpose of the award is to recognize outstanding achievements or contributions by an editor in pursuit of nursing publication. Click here to learn more about the award. Click here to learn about award winners for the past four years. And last, click here to nominate a worthy colleague for this prestigious honor. Nominations will be open until April 17, 2016. If you have questions or need more information, use the Contact Form at this website. All questions will be sent directly to the committee chair, Lucy Bradley-Springer. Thank you for your support of the MCF Award! Moving forward with plan for trip to Cuba, January 2017! We finished our series of informational meetings about the potential INANE/Cuba Educational Collaboration Trip yesterday. We know that there are people who are interested in learning more who could not join the informational sessions, so this post covers what we shared, including a video of one of the sessions (at the end of this post), answers to many questions that came up during our meetings, and a form you can complete to let us know if you are definitely, moderately, or somewhat interested in participating in an INANE collaborative exchange trip to Cuba in January 2017! Read on for more details, to see the video, and to fill out to the “Expression of Interest” form! The informational meetings confirmed a broad concept–that this proposal could very well serve as a model for developing the international connections we have always aspired to for INANE, but have not achieved as fully as we would like. This model does not replace our annual conferences, which will proceed as usual. International Collaborative Exchanges would involve small INANE delegations visiting countries where we want to build strong editorial connections. Determining who is seriously interested in participating in a MEDICC-sponsored trip to Cuba in January, 2017 (we need 16 to 22 participants). If you are interested, you can complete our “Expression of Interest” form to let us know your level of interest! If we have a sufficient number of people indicating interest, we will notify MEDICC that we do want to confirm that INANE will sign up for the dates that they have reserved for this trip, and start working with them to plan our agenda. Would we be able to visit a school of nursing, hospital, maternal/child health center, elder center, etc? Yes–MEDICC would work with us to plan the agenda to meet our needs. One advantage of planning this far in advance is that we have time to figure out what everyone wants to see and do and work to have that included as part of the program. Would we stay at the same hotel that you and Leslie stayed at? Probably not. 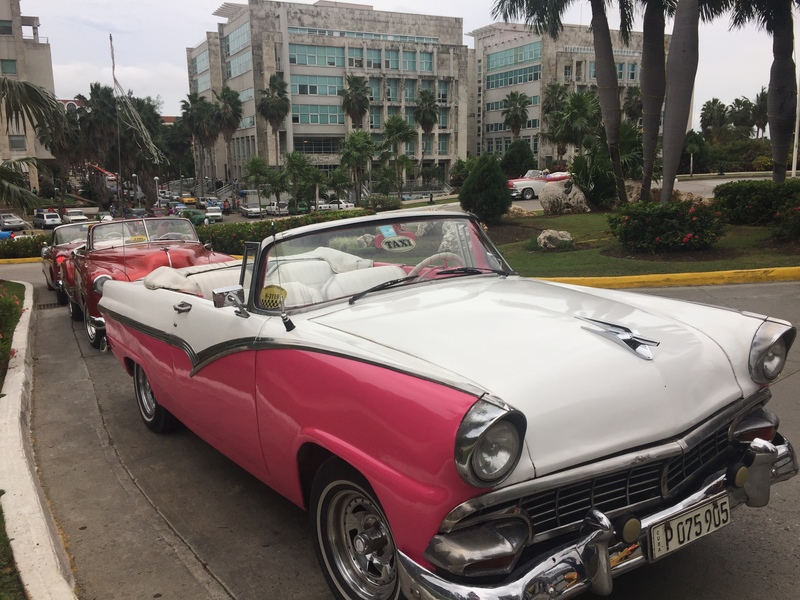 MEDICC is working to reserve rooms at a hotel that is closer to downtown Havana, which would make it easier for people to get out in the evening or when we have free time. What are the requirements for passport and visa? If you are a citizen of the United States, you must have a valid US passport and it must have an expiration date at least 6 months beyond the date of the trip (July 2017). MEDICC takes care of arranging for a visa for each traveler. Non-US travelers must have a valid passport from their home country. Is this trip only for people from the US? No, INANE friends from other countries are welcome to sign up for the trip. Arrangements would be made for how they would arrive in Havana. Would we be able to travel beyond Havana? This will be determined by what we want on the agenda and what is feasible in terms of time and distance. Can my spouse come on the trip? Spouses/partners/friends are welcome but they need to participate in all the educational programming that is offered–that is part of the visa requirement. I don’t speak Spanish – is that a problem? That’s fine. Leslie and I don’t speak Spanish either. An interpreter is included as part of the travel package. It is a great asset to be able to speak Spanish, but not required. When do we have to pay/or sign up? MEDICC will provide a formal application for the trip that will be available later this spring or early summer. We will develop a “first come” list for this application, and if there are more than 22 participants who wish to apply, we will set up a wait list so that if someone has to drop out, someone else can take their place. Once your application is approved by MEDICC, you will be asked to pay a deposit, which for us was $300. For us, the final payment in full for the trip was due about 2 weeks before the start of the trip, which is likely to be the plan for our INANE trip. So let us know if you are at all interested–we need your response even if you are only mildly interested. It should take you about 2 minutes to complete this form. Note that this is not binding or a final commitment–it just allows us to have an accurate number to go forward with MEDICC, in good faith saying that we have at least the minimum number of people required for a trip. Once we have sufficient responses to justify moving forward, we will notify MEDICC, and will also develop a communication system to everyone informed each step of the way! If you have questions, use the contact form to send them to Leslie or Peggy and we’ll do our best to get you an answer. Thanks again! We look forward to moving ahead with this project! And enjoy the video! The Editor search for the Pain Management Nursing journal is being conducted by the ASPMN® Board of Directors. A Search Committee has been appointed and will review applications, conduct phone interviews as needed, and make recommendations on the final candidate. This position will be open until filled with applications being reviewed starting March 1, 2016. The preferred start date is June 1, 2016. See the Association website here, and the Journal website here For more details about the position, and the search process, download the Call For Editor.